Have you ever sat down with a book and forgotten what you were just reading? It’s happened to me on several occasions. Sometimes, even after rereading the paragraph, I still wasn’t processing the message. This absent-mindedness is creeping into many other parts of my life: driving, showering and even, on some occasions, while trying to meditate! As I get older and time seems fly by faster, I realize I’ve often been going through the motions. 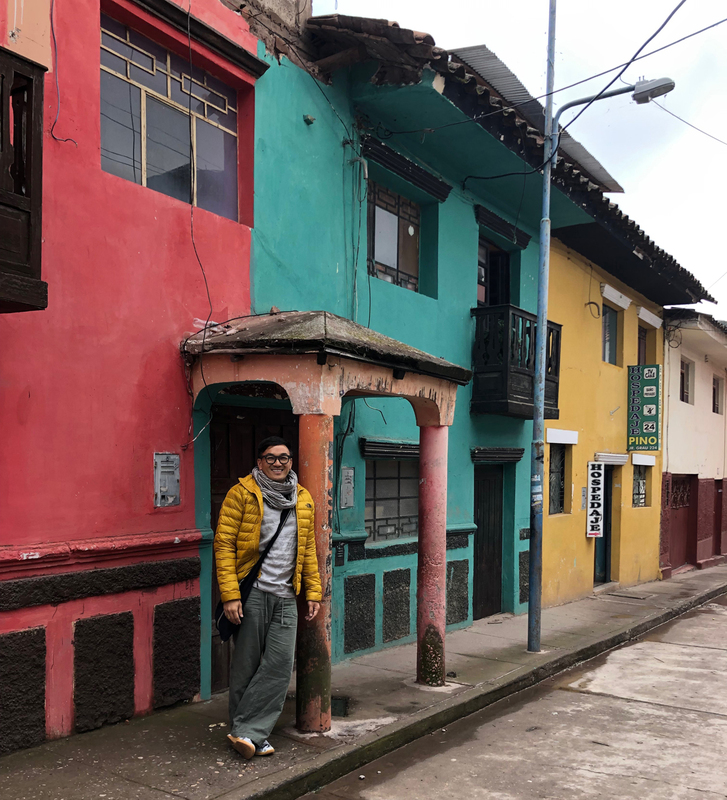 But during a recent trip to Peru — one of my favorite spiritual places in the world — I distinctly felt in the present moment many of my waking hours. The experience was so striking that I wondered how I could keep this with me when I returned to America. I’m no fool to think I can always be 100 percent in the present moment, but that’s not the point or the goal. The goal is to realize when I’m no longer in the present moment, whether during an encounter with a rude stranger, when I get peeved or feeling anxious about the future. 1. Get out of your routine and reset. My vacation in Peru allowed me to zoom out and switch things up, which is great once in a while to recalibrate my energy and thoughts, reminding us what’s important in life. I’m writing this on the plane and as I type, I’m trying to be mindful of my hands touching the keyboard, the energy buzzing from my fingers and the words eminating from my heart. I was inspired to write this blog after spending much-needed time surfing, jogging, shopping and eating my way through Lima and zig-zagging through my favorite towns in Cusco. You can’t help but tune into a higher frequency, being hypnotized and enveloped by the cascading terraces between the Andes mountains. Life there seems to be a lot slower. Many locals are still largely off the grid. I felt transported back in time, when modern-day conveniences haven’t thwarted our awe of nature and our daily routines. I noticed during the trip that when things got antsy, I went back to my breath. I just started to breathe deeper. Bam! That is something you and I can do anytime, anyplace. 2. The music I listened to on my trip also inspired me. I stumbled across an old song — one of my favorite spiritual songs — called “Open My Heart” by Yolanda Adams. My childhood friend Anocha introduced me to this uplifting tune that took me back to 2001 when I was feeling lost personally, professionally and spiritually. At the time, I had quit my job as a TV reporter in Wisconsin and moved back home to Sacramento, Calif., to take care of my dying father. Tragically, in about a year’s time, I lost my dad, aunt and two grandmothers. I played and sang the lyrics throughout the day, grasping to every word. The words and melody are like an anthem of spirituality. Now what if choose the wrong thing to do? 3. The book “Creating Sacred Space with Feng Shui” by Karen Kingston is more than just about the ancient art and practice of Feng Shui. It’s a way of life that delves deeper into creating sacredness in the everyday. One message that resonated deeply with me is about paying attention to the divinity of rituals, traditions and the moments (especially the mundane, like eating, brushing your teeth, cooking). 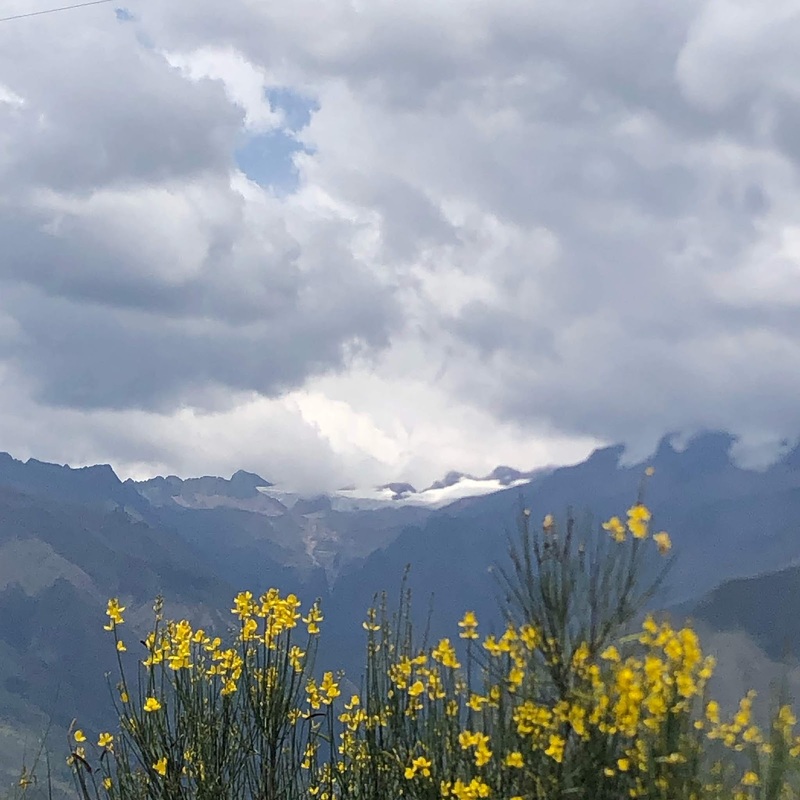 The book, the song, the adventure in Peru all made me aware that everything we do is important, no matter how small the task. What we tune into is what we manifest in our lives: When we listen to music or watch content that is inspiring, we get inspired. If we follow a brand or person on social media who is about spreading good, good vibes billow out. Simple as that! As I returned home to San Francisco, I longed to keep focusing on the present and not be distracted by life around me. But being mindful and in the present moment takes constant practice. I can’t help but wonder why I get so excited to practice being in the present moment after watching an Oprah interview on Super Soul Sunday or after reading self-help books like Eckhart Tolle’s “The Power of Now,” only to fall back out of the present moment just moments later. 4. Set reminders. Being aware of the bliss of being in the moment during my trip, I realized that everything I do is a form of meditation and being in the moment. Like when I’m in the shower, I’ll feel the warm water and soap bubbles reinvigorating and cleansing my body. When I’m driving, I’ll feel the steering wheel in my hands, my foot on the brakes and accelerator, and the bumps on the road. When I cook, I’ll cut the carrots and feel the knife slicing through the crisp carrot. I’ll feel the vibration of the knife hitting the cutting board. I had a major epiphany during my flight home: everything I do affects how I feel, on a granular level, from the books and magazines we choose to read, the music we listen to and the things we eat. Everything on earth is made up of energy, including our bodies. A lot of spiritual teachers and friends say life is like a big radio station. The station we choose to tune into affects our vibration. What frequency will you choose to listen to? I am sure it affects how we think and feel. How powerful is that? Take that in for a moment. I used to always beat myself up for falling out of the present moment. The truth is, we are human beings who can’t always be in the present. It’s OK. The more we practice being mindful and present, the more we will be in the moment. The important thing is to catch yourself when you’re not present and recalibrate, breathe and feel the moment as much as possible. What do you do to be more mindful? Comment below and let’s all set an intention to give us the best gift life can offer: being present.